Every once in a while we come across a new accessory and software from other manufacturers that can greatly enhance the versatility of Leica equipment. One such accessory if the newly announced LensTRUE System by JOBO. It promises an alternative to adjustable cameras and offers technically perfect images without distortion and vignetting. Unlike the equalization or erection perspectively distorted image with the use of mechanical shifts or conventional image editing software the LensTRUE system solves the problem by combining hardware and software. The system consists of an electronic inclinometer, the LensTRUE meter for measuring and storing the angular position of the camera while shooting, and special software with RAW converter to eliminate perspective distortion. 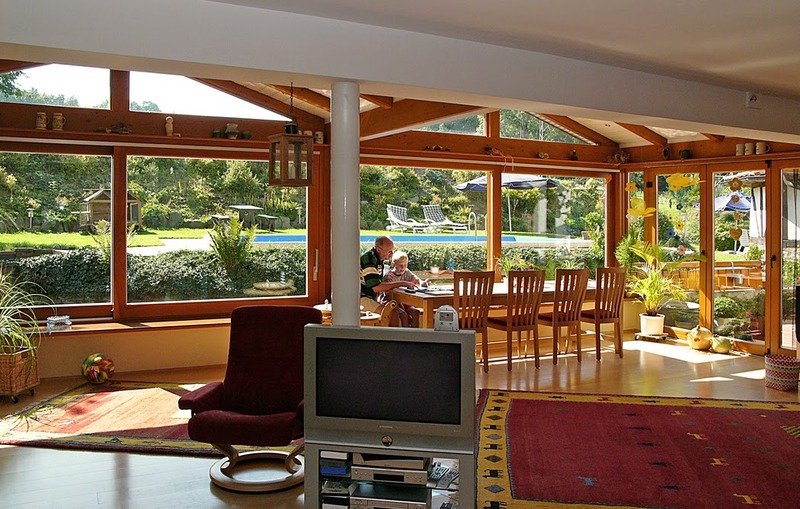 The prerequisite for the use of LensTRUE is a sensor resolution of eight megapixels. However, the higher the sensor resolution, the more the camera can be angled. The limit of the automatic correction with LensTrue is 35 degrees. In practice, the inclinometer is mounted on a tripod and connected to the camera. The inclinometer records the data of the camera position in every shot. The LensTRUE Software writes the information gained in the metadata of the image file and uses it for the perspective correction. 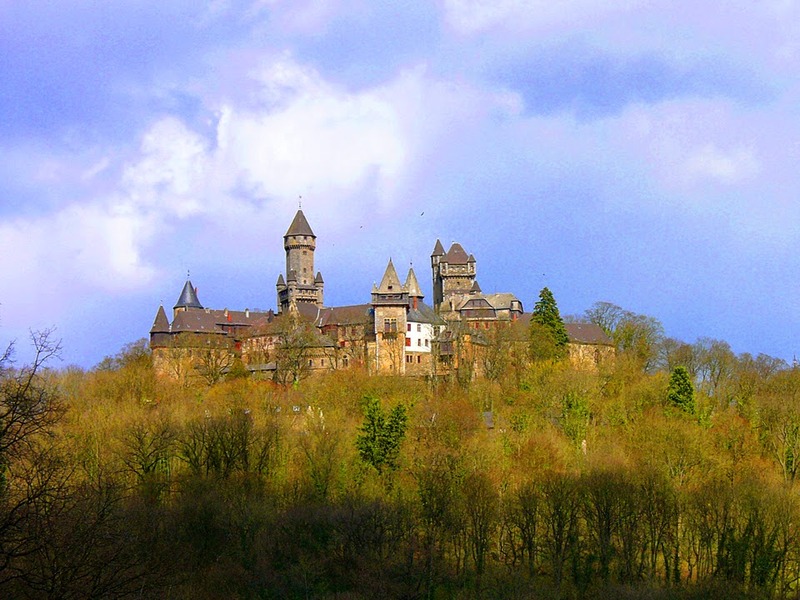 The image information is automatically corrected, however, the correction by LensTRUE leads to a change of the image format. The LensTRUE system is priced at almost 1000 euros and will be presented by Jobo at Photokina. From the very beginning, Leica lenses have always had a very high reputation for their sharpness and their special tonal performance. This was a prerequisite, demanded by Oskar Barnck and realized by Max Berek with even his first lens designs for the Leica. As a matter of fact, Leitz had been criticized from time to time for not having any good portrait lenses. 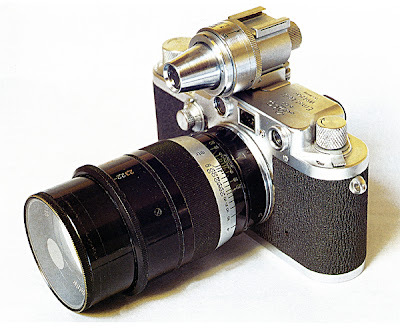 Many Leica users thought that the Leica lenses were often too sharp for portrait work. That gave the impetus for Max Berek to design the Leitz Thambar at the beginning of the 1930s. 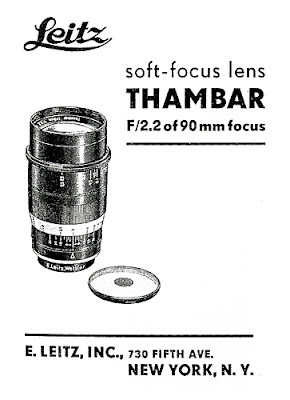 The Thambar was a soft focus lens, displaying some rather unique characteristics, which made it one of the premier portrait lenses of the time. The soft focus effect was the result of the lens having been purposely designed with a considerable amount of residual spherical aberration. The name Thambar was derived from Greek, meaning “something that inspires wonder”, or wonderful. The lens was comprised of four elements, with the two central elements cemented to form one group. A very similar formula was later chosen for the 125mm Hektor for use on the Visoflex. 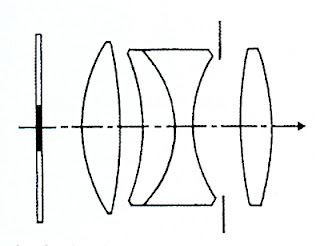 The spherical aberration of the lens was produced primarily at the outer perimeter of the lens. Stopping it down to smaller apertures would reduce this effect and it was totally eliminated at f/9. To further enhance the soft focus effect, the lens came supplied with a special, clear filter that had a one centimeter mirrored spot in the center which eliminated the sharp image created by the center of the lens. The maximum aperture of the lens was f/2.2. This was reduced to f/2.3 with the center spot filter in place. For that reason the Thambar had two aperture scales, one in white for the f/stops without the filter and one in red for the stops with the filter installed. The red scale went from f/2.3 to f/6.3 because above f/6.3 the filter became useless. The maximum soft focus effect was obtained with the lens wide open and with the filter installed. Stopping the lens down would diminish this effect, thus giving the photographer full control over the amount of soft focus. 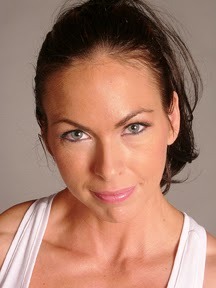 Photographing with back lighting or lighting that produced flare would further increase the soft focus effect. The distance of the subject also had a significant effect on the softness. The Thambar actually was relatively difficult to use because the rangefinder of the camera did not allow the soft focus effect of the lens to be seen. Subsequently a fair amount of experience was necessary to use the lens effectively. The production of the lens started on 1935 and ended in 1949. According to company records, about 3000 lenses were produced. Today the Thambar is one of the most sought after pieces by Leica collectors. Even though a production of 3000 lenses is not all that rare, it is difficult to find complete sets with the original filter, and sets complete with the filter and the original red boxes are quite rare. The Thambar is indeed a legendary piece of equipment among Leica enthusiasts. 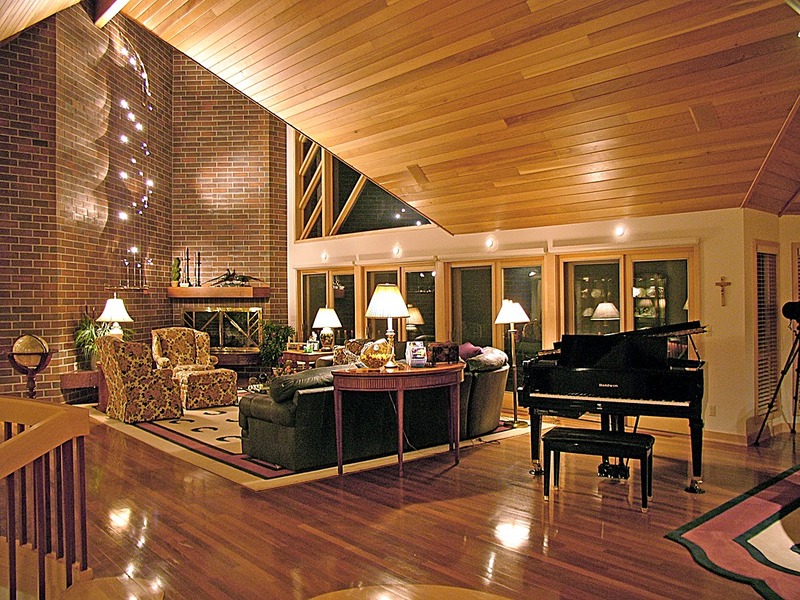 Well, it did, not only did it function properly; it rendered results which I had no hesitation to give to my client. From that day on I did all of my professional work with that camera. The Rolleiflex has long been sold. As a matter of fact, I don’t recall when I shot my last roll of film, but I am sure it was around the time of the appearance of the Leica Digilux 2 as part of my camera outfit. I still have that camera and yes, I still use it. It still is a fun and extremely well working camera. I was actually a bit concerned about that screen. I had seen a lot of such screens that became difficult to use in bright light. Not so with the Digilux 2. To my surprise, It functioned every bit as good, even in direct sunlight, as it did in a darkened environment. To this day, I consider the Digilux 2 screen one of the best I have ever used, better than even the screen on my Leica M8. The electronic viewfinder incidentally made the Leica Digilux 2 the first mirrorless digital camera, which put it quite a bit ahead of its time when it was introduced in 2004..
Of course there is no rangefinder, but the automatic focusing makes up for that in most situations. The camera also has manual focusing. I found it difficult to focus the lens manually at first, which is until I discovered the magnifying feature. Once activated, it switches the standard viewfinder image to a greatly magnified portion of it. The moment you are done focusing, the viewfinder image switches back to the full viewing field. That proved to be highly accurate, with the result that I have never experienced any focusing problems to speak of. A great part of the rather good performance of this camera is, of course, the lens. The Leica DC Vario-Summicron ASPH 7-22.5 mm f/2.0-2.4 lens is a gem, a definite Leica lens. Because of the relatively small sensor of the Digilux 2, the lens could be designed as a 7 – 22.5 mm lens which corresponds to a full frame equivalent of 28 – 90 mm. Here is actually an example where a smaller sensor does have some definite advantages. To have a 28 – 90 mm lens with a full frame sensor at a maximum aperture of f/2 would make that lens gigantic in size and weight and, with the same performance level, extremely expensive. But there is another, hidden advantage to the small sensor combination with this lens. Being of a design that entered the market in 2004, the high ISO sensitivity of the sensor is limited to just ISO 400. Even so, going beyond the standard ISO 100, the camera does display considerable noise, especially in the dark areas of the image. This might be considered a definite handicap, but we must not forget that ISO 100 at f/2 is the equivalent of ISO 400 at f/4 or ISO 800 at f/5.6, all aperture setting that are displayed by many of the slower zoom lenses we see in cameras today. With other words, one would have to go to much more recent and more expensive cameras to gain any advantage. The camera does have a built-in flash which pops up at the press of a button. But unlike most other cameras, this is a two position flash with the first position being for bounce flash. Here the flash is pointing upwards in about a 45 degree angle. A second push of the button will position the flash with the reflector facing forward. There have been numerous instances where the bounce flash enabled me to get very naturally looking results which in no way revealed that on-camera flash was actually used. Leica has been busy opening their exclusive Leica stores all over the world. It is a successful concept that is serving them well. But as new as this concept might appear, it has been done before. 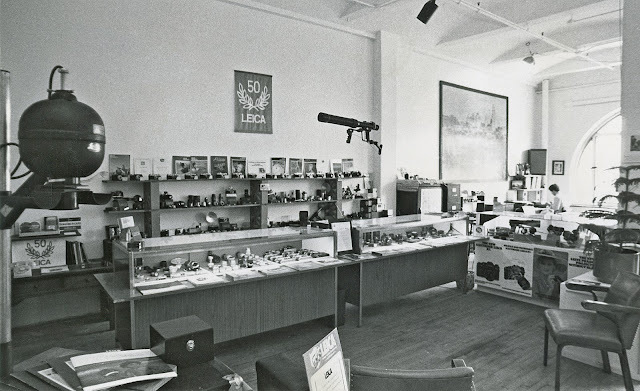 In 1979, Photo Visuals of Minneapolis was the first camera store in the US to sell exclusively Leica equipment. 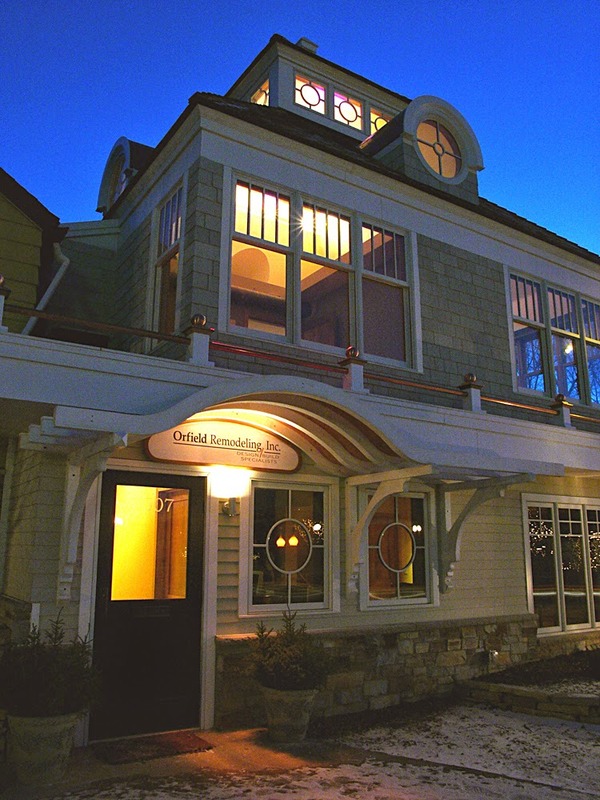 Initially the business was planned as a photography studio. Prior to that, the owners worked at a store that sold more Leica equipment than any other in the area. The Leica representative at the time called them, saying that he could not afford to lose their expertise and customer base. 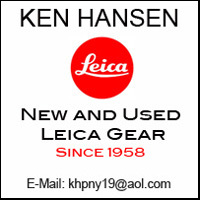 Leicas had always been a favorite of the two owners and with the help of Leica, at that time in Rockleigh, New Jersey, they placed an opening order to obtain a Leica franchise. Once the order arrived, thoughts turned to how best to promote it. That’s when the thought came up to promote it as the first exclusively Leica dealer in the country. The concept took off beyond expectations and the studio aspect of the business was soon left behind. The concept apparently had a lot of appeal and soon Alvin’s Photo Supply of Pasadena opened California’s First Exclusively Leica store. They were followed by The Darkroom “Leica and Leica only” in San Francisco. The Bilderfürst (picture prince) - camera merchant Jan Dittmar from Fürth - has definite problems. He has a waiting list for photography equipment and many items sell beyond their manufacturer suggested retail price. 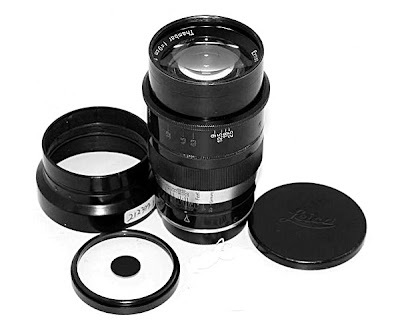 For a Leica 50mm f/0.95 customers gladly pay 8,000 euros ($10.500) if it is available. If not, Jan Dittmer will put their name on a waiting list. When new deliveries arrive, the customers will be notified. Customers often wait two years for some Leica products, and they understand. These cameras and lenses are being made by hand with great care and that takes time. Dittmar doesn’t need to explain, as a well-known Leica specialist he has the complete confidence of the Leica community. That means, if done right, extreme specialization can even be successful at places where you might not expect it. Jan Dittmar is concentrating totally on Leica. In his store of 450 square feet you will only find Leicas and nothing else. The business concept is relatively simple from one point of view but also difficult from another one. With such approaches retail prices are not everything. 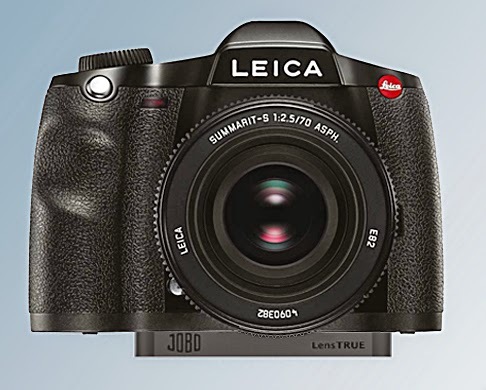 Most of those who enter the store know that Leicas are often sold at fixed prices. That is the unproblematic part of the concept which is followed at Dittmar’s Leica Boutique. The difficulty on the other hand is to be able to obtain certain pieces of equipment. It’s not that Leica doesn’t care, but with their production methods they currently aren’t able to do more. Dittmar’s customers can see that for themselves. Several times a year the Leica man offers invitations for trips/workshops to the Leica factory in Solms. There they can experience for two days that real specialists are needed to create the optical-mechanical marvels, and people with that kind of experience and such golden hands are rare. The consequence: the customers will be able to look forward to their orders for longer than they had hoped. 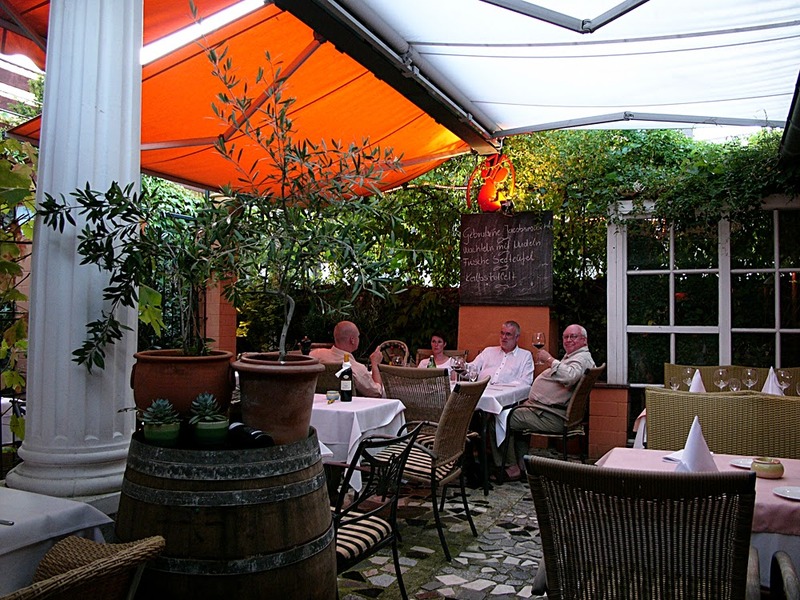 Service and care of the past are part of such a single-brand-boutique as well. Because the optics from the 70s also fit the digital Leicas of today, they are much sought after. A used Summilux 80mm f/1.4, which sat on a shelf for 900 euros ($1,185) a while ago, now fetches 4,000 euros ($5,280). Leica is also updating the analog lenses for use on digital Leica equipment. For 160 euros ($210) yesterday’s lenses become lenses that can also be “understood” by the digital Leicas. Thus the used lenses are being offered a new life and increasing prices. Customers are coming to Fürth from far away. Since Dittmar always goes by “purchase if something is available, to have it when asked for” he is able to accommodate more customers wishes, even very unusual ones, than his I-have-Leicas-also colleagues. His store is known all over Europe and even further. The Japanese, some of the greatest admirers of original Leica technology, order from Dittmar or they come personally for a visit. The Leica specialist is also delivering Leica lenses to Canon film crews. Attached to Canon cameras with an adapter, they deliver amazingly good results. Right now the photo business is a lot more fun than in years past. Because of floods and other natural disasters equipment is often in short supply. Therefore customers are more accepting of the prices than in the past. Many a merchant has seen with disbelief that several items sold for above the manufacturer suggested retail price and that without customer complaints. When has that ever happened the years past? Taking the above into consideration, Leica came to the game relatively late. But they are following a successful concept and their success as well as the successes of other exclusively Leica stores prove them right. Recently the Leica M9 started to tickle my interest. I’ve been interested in shooting a rangefinder for a while now, and knowing other photographers that love their Leica systems they shoot with, I thought it was time. I rented an M9 from Lumoid.com along with a Voigtlander 35mm f/1.4 lens for a wedding and fell in love. A couple weeks later, I rented it again. This time it was more of a trial run to see if it was something I wanted to spend the money on purchasing. It never went back, and not only did I get it for a great price, but a percentage of the money I spent on renting it went towards the purchase. Jay Cassario is a photographer from South Jersey, and owner of the wedding, engagement, and portrait photography studio Cass Imaging. His true passion is his portrait work, but his love for landscape and star photography has earned him publications by National Geographic.